This guide offers instruction on using ebooks on the EBSCO eBook platform and the ProQuest Ebook Central platform. Gleeson Library | Geschke Center provides access to several collections of ebooks. This guide gives you links and instructions for accessing and using EBSCO eBooks, ProQuest Ebook Central, and Safari Books. Use the tabs above to navigate to guides for specific collections. 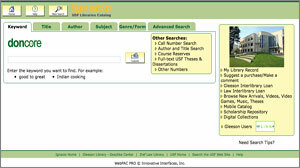 You may search for ebooks using the library's catalog, Ignacio. This method will bring you results from all ebook platforms. Tip: Instead of checking these out, scroll down to the Table of Contents and read (print/download) a chapter at a time. 3 Users: Up to three people can read or download the eBook at a time. You may read EBSCO eBooks online in the web browser of your computer, laptop, or tablet device. There is no need to download special software if you use this option, but you do need an active Internet connection. There is not time limit on your use of an ebook online. Your other options are downloading a limited selection of pages in PDF format, which allows you to print and permanently save the chapters, or downloading an entire ebook, which necessitates the use of special software. Continue reading to receive instruction on these points. There are a couple different ways to save a section of an EBSCO ebook as a PDF. Depending on the publisher's limit, you may generate a PDF of up to 100 pages. Some publishers do not allow the option to save an eBook as a PDF. A: Use one of the following menu options at the top of the screen: Save Pages, E-Mail Pages, Print Pages, and Export to Google Drive will generate a PDF of a section of your choosing. Choosing one of these options will reveal a menu that states the page limit for downloading a section, and give you various options for selecting a range of pages to download. B: Click on the downward facing arrow icon next to the chapter navigation items in the menu on the left side of the page. Clicking on this icon will bring you to a pop-up screen that states the page limit for downloading a section, and give you various options for selecting a range of pages to download. The benefits of downloading an ebook are the ability to read offline, and to share between devices linked with the same software and account. Most EBSCO eBooks are downloadable. In order to download an EBSCO eBook on a desktop or laptop computer, you must have Adobe Digital Editions 1.7.1 or higher installed. You can download Adobe Digital Editions for Mac or Windows. To download the book, look for the download button, the location of which may vary based on the interface mode in which you are viewing the ebook. 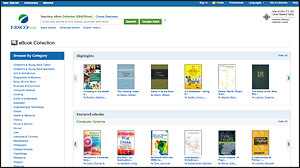 You do not need to create an EBSCOhost account, as one is automatically created for you. Visit the EBSCO eBooks download help page for more details. To view an ebook on your smartphone or tablet, follow the download instructions above, but use one of the following apps instead of Adobe Digital Editions to view the book on your device. You will need to enter an Adobe user ID in the app. See the EBSCO eBooks Mobile App - Quick Start User Guide for more information. Do not use the USF mobile app to download and read ebooks online; use a mobile browser, such as Safari or Chrome. For how long can I check out/download an EBSCO eBook? Most EBSCO eBooks may be downloaded for offline use for 7 days. After 7 days, the ebook will disappear or no longer be accessible from your bookshelf, Adobe Digital Editions bookshelf, or device. Even if the download is unsuccessful, the book is checked out at this point and reserved for your use for the duration of the checkout period. If there is a problem with the download, you can find the book in your Checkouts folder and try again. How do I return an EBSCO eBook? 2. Select "Return Borrowed Item"
You don't need to return downloaded books, but returning the download of a limited-user book will make it available to others. If you choose to not return the book, after the designated access time the file will remain on your computer or device, but it will become unreadable. Once it times out, you might want to delete the (unreadable) file to avoid confusion. Note, returned ebooks may take up to an hour to become available. Why am I unable to download an EBSCO eBook? An ebook that's missing the "Download (Offline)" link cannot be downloaded in its entirety. Certain publishers restrict downloading of their ebooks. Some of these publishers include Ashgate Publishing, Edward Elgar Publishing, I.B. Tauris, Kogan Page, MIT Press, New York University Press, Princeton University Press, Reference Service Press, University of California Press, University of Oklahoma Press, McGill-Queen's University Press, STM Learning, Inc., and University of Arkansas Press. Some of these publishers permit downloading, saving, and printing of portions of text, such as chapters. How many people can use an EBSCO eBook? Most EBSCO ebooks can be used by an unlimited number of users at a time. A number of EBSCO ebooks that are purchased titles can only be used by 1-3 users at a time. There may be times that a title is not available and a “Sorry, this eBook is in use” message is displayed because that title’s user limit has been reached. Can I take notes in an EBSCO eBook? You can take notes on an EBSCO eBook online by clicking on My Notes in the upper left of the open ebook. Click to view your notes or to create a new note about the eBook or a page of the eBook and save it to your personal folder. (PDF format eBooks only). You may take notes in the downloaded Adobe Digital Editions reader, but notes taken there are only maintained during the days you have the book downloaded. They are not permanent. Can I copy text from an EBSCO eBook? You can copy selections of a book you've checked out or downloaded, and paste it into a text editor, such as Microsoft Word. Please note you are still required to adhere to Fair Use and Copyright laws. Under Fair Use, you may copy a small part of the copyrighted book, not the entire work. If the text you wish to copy is spread across more than one page, you will need to copy and paste each page separately. EBSCO eBooks will also include the citation for the book when you copy and paste a selection of text. The format defaults to APA and MLA, but can be changed to your preferred citation format. Can I checkout and download an EBSCO eBook to a Kindle? EBSCO ebooks cannot be downloaded directly to a Kindle due to Amazon's proprietary software, however, you may download and read ebooks using a Kindle Fire with the free Flipster app. See these instructions on using Flipster from EBSCO support. Alternately, you may also transfer saved PDF Files to any Kindle eReader device or Kindle app on iPhone using Amazon's Send to Kindle option. See instructions for sending PDFs to a Kindle on the EBSCO support page. Can I export EBSCO eBook citations to RefWorks? It is possible to export EBSCO eBook citations to RefWorks using the export tool. Once you have entered into an ebook and are looking at a page from the book, click on the export button in the top menu of the page. The resulting menu that drops down is set to default to export to RefWorks. Click the save button. At this point you will be directed to the login page for RefWorks. Enter your login information to initiate the export. Can I send a link to the ebook, or embed the ebook in Canvas? 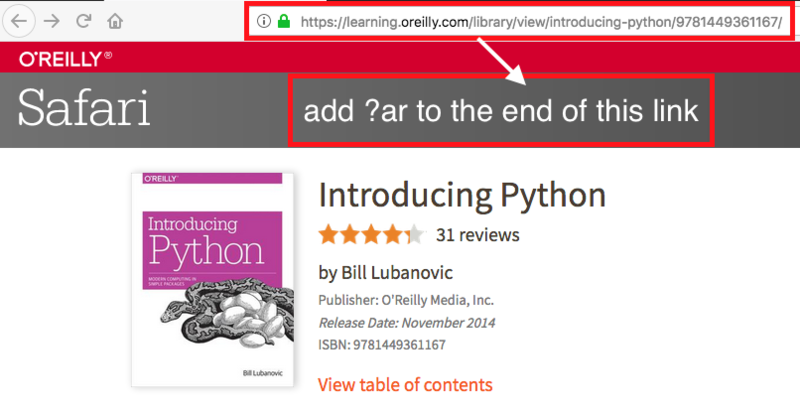 Yes, when viewing the ebook in your web browser, use the permalink button (icon of a chain link) in the toolbar at the top of the screen to copy and paste a permanent url to send to colleagues, classmates, or embed in a Canvas course. For the latter, we recommend this option rather than sections of actual content because it avoids issues with unauthorized access. How do I fix the error "Unable do download - Error getting license. License server communication problem. E_AUTH_BAD_DEVICE_KEY_OR_PKCS12," when I try to open a downloaded ebook file in Adobe Digital Editions? Try deauthorizing Adobe Digital Editions, and then authorize it again. If this doesn't work, try to deauthorize following these steps for Windows and Mac computers. I don't remember my Adobe password. How can I reset it? Ask a Librarian or consult the EBSCO eBook help guide. 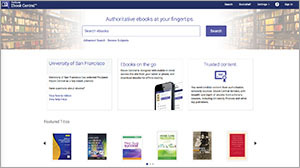 You may read ProQuest ebooks online in the web browser of your desktop or laptop computer, or tablet device. There is no need to download special software if you use this option, but you do need an active Internet connection. There is no time limit on your use of an ebook online. Your other options are downloading a limited number of pages using the PDF chapter download option, which allows you to print and permanently save the chapters, or downloading an entire ebook, which necessitates the use of special software and comes with a time limit of up to 7 days. Continue reading to receive instruction on these points. There are a couple options for saving a section of a ProQuest ebook as a PDF for printing or viewing. A: From the table of contents, you may use the Chapter Download button to download an entire chapter in PDF format. This button is located on the menu on the left hand side, as well as next to each chapter in the table of contents. B: Once you are viewing the ebook, you may use the PDF button or printer icon button in the menu at the top of the page. The PDF button will give you the option to generate a PDF of a single page, a range of pages, or an entire chapter. The PDFs are searchable and selectable, include a citation and do not expire. The typical print allowance for most titles is 40% of the book. When printing a chapter or range of pages, the system deducts from this allowance. If the chapter is longer than the number of pages you can print, it will not print-to-PDF the chapter. You’ll need to instead print-to-PDF a page range within your limit. Once you’ve created the PDF file, you can read or print that file anytime – it doesn’t expire. The benefits of downloading an ebook are the ability to read offline, and to share between devices linked with the same software and account. Most ProQuest ebooks are downloadable. In order to download an ProQuest ebook on a desktop or laptop computer, you must have Adobe Digital Editions 1.7.1 or higher installed. You can download Adobe Digital Editions for Mac or Windows. To download the book, look for the Full Download button, which appears in a couple places. There is no need to create a ProQuest eBook Central account, as one is automatically created for you. Once you are logged in, the system will guide you through three easy steps to download the ebook. Visit the ProQuest Ebook Central: Full Download page for more details. For how long can I download a ProQuest Ebook? Most downloaded ProQuest Ebook Central ebooks in Adobe Digital Editions or on your portable device are available for 7 days, and you will have the option of specifying 1, 3, or 7 days when you download the book. Note: downloading an image PDF of a chapter or page range gives permanent access. How do I return an ProQuest Ebook? Why am I unable to download a ProQuest Ebook? How many people can use an ProQuest Ebook? Most ProQuest ebooks can be viewed by any number of people at a time. Can I take notes, highlight, and add bookmarks in a ProQuest Ebook? Yes, it is possible to do all these things when viewing a ProQuest ebook online in your web browser. Click "Sign In" in the upper right to sign into your ProQuest Ebook Central account to save your highlights, notes, and bookmarks. When you are viewing a page of an ebook, use the tools at the top of the screen to highlight, take notes, and add bookmarks. See ProQuest Ebook Central: Book Annotations for more assistance. Can I copy text from a ProQuest Ebook? Yes, it is possible to copy text when viewing a ProQuest Ebook online in your web browser. When you are viewing a page of an ebook, highlight the text you wish to copy, and a toolbar will appear. Use the copy tool (icon of two pages, located on the left side of the toolbar), which will generate the text to copy and includes a citation. The citation format defaults to MLA, but can be changed to your preferred citation format under your profile settings. Please note you are still required to adhere to Fair Use and Copyright laws. Under Fair Use, you may copy a small part of the copyrighted book, not the entire work. Can I download a ProQuest Ebook to a Kindle? ProQuest Ebook Central ebooks cannot be downloaded directly to a Kindle due to Amazon's proprietary software, however, you may download chapters in PDF format, which are compatible with all Kindles, or download ebooks to your Kindle Fire using the BlueFire app. • Follow these instructions for downloading the BlueFire app to your Kindle Fire. • Before you download an eBook to Bluefire, you must authorize the app with your Adobe Digital Editions ID. To Authorize the App: Open the Bluefire app from your Kindle Fire's applications menu. Enter your Adobe ID and password in the fields provided. If you don't have one, click on Create a free Adobe ID. Tap Authorize. • On the Ebook Central site, find the you want to download. Click Full Download. The system should recognize your device, but if it doesn’t, select the option for Android and I’m using my own computer. Then click continue. • You will be prompted to download the ebook. Your ebook should open in the BlueFire app. Can I export citations to RefWorks? Yes, it is possible to export ciations to RefWorks when viewing a ProQuest ebook online in your web browser. When you are viewing a page of an ebook, use the citation button (icon that is quotes inside a speech bubble) in the toolbar at the top of the screen to both generate a citation and export a citation to RefWorks. Yes, use the link button (icon of a chain link) in the toolbar at the top of the screen to copy and paste a permanent url to send to colleagues, classmates, or embed in a Canvas course. For the latter, we recommend this option rather than sections of actual content because it avoids issues with unauthorized access. Ask a Librarian or consult the ProQuest user guide to ebooks. As of January 2015, the new Safari Books has more than 30,000 books and videos. This new Safari collection features a curated library of technical books today—including titles from Pearson, O’Reilly Media,and more—organized by popular subjects, from web development and mobile apps to entrepreneurship and UX/IA. Safari has the top 95% of the most popular titles from Safari Books Online. You may read Safari Books in a web browser on your computer, laptop, or tablet device. There is no need to download special software if you use this option, but you do need an active Internet connection. There is no time limit on your use of an ebook online. Your other option is to download an entire ebook to read offline using the O'Reilly app on your mobile device. Continue reading below for instructions. 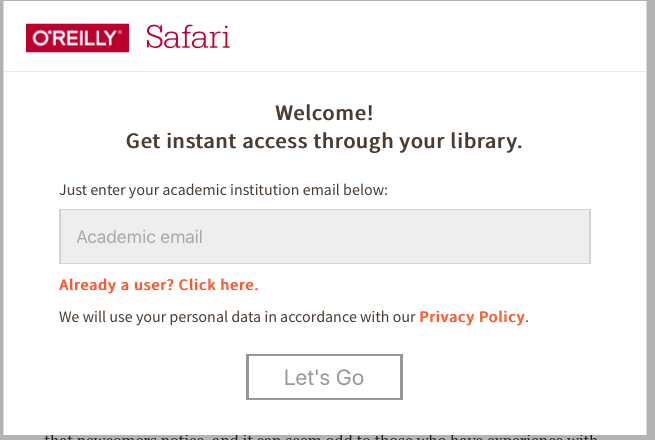 If you are ever blocked from accessing a Safari Book, click Sign In in the upper right. In the sign-in window, enter your USF email address and click "Submit." On the following screen, you should be prompted to enter your myUSF username and password. Occasionally you may encounter the screen below. Similar to above, enter your USF email address and click "Let's Go." The O’Reilly app offers the full breadth of videos and books available in Safari. Download as many books and videos as you like. O’Reilly interactive trainings such as Orioles, Live Online Trainings, and some Learning Paths are supported only through a web browser. Can I access content while I’m offline? Yes, the O’Reilly app for iOS and Android allows for offline reading and caching. Can I read Safari Books on my Kindle? Unfortunately, no. Amazon prevents the installation of third-party applications on its E-reader devices. Can I sideload the mobile app onto my Android device or Amazon Tablet? If your Android device cannot connect to the Google Play store, but otherwise meets the requirements for installation, you can download an APK for sideloading onto your device. Please contact O'Reilly support (support@safaribooksonline.com) for assistance. Please note that sideloaded apps do not automatically receive updates, so you’ll need to keep track of that yourself. 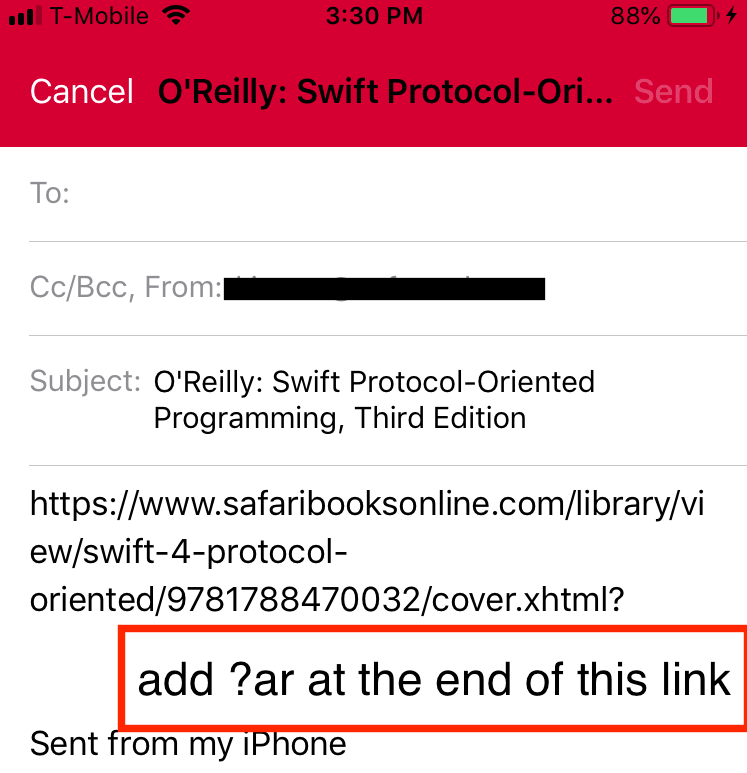 You have several options for creating permalinks (also called permanent links) to Safari books for sharing in email, Canvas, or on the Web. 2. Find the ebook in the library's online catalog and link to the book record. 3. Find the ebook in Fusion, click on the record, and link to the permalink. In the record you want to link to, select Permalink in the toolbar on the right. A permalink you can copy and paste into Canvas, a website, or email, will appear. When users click on the permalink, they can access the ebook by clicking "View Online" on the left. If you send an ebook link from the app, add ?ar to the generated URLs. The Playlists feature helps you organize lists of content from anywhere in your online learning experience. To share a playlist, simply select the “Share Settings” option from your playlist, toggle it to “Shared” and copy the URL to share. To follow a shared playlist, just click on “Follow Playlist” when you’re on the page for the playlist you’d like to follow. Any playlist you follow will appear on your Playlists page. You can easily unfollow a playlist at any time. Share the content you find valuable with others. If your recipients don’t have access to Safari Books, they will see a small snippet of the chapter. If they do have access, they will be brought directly to the linked chapter. Why can't I find the exercise files for a book or video? Books or videos that refer to working/exercise files will often mention the location of these files in a chapter at the beginning or end of the book, or in an early clip if it’s a video. If you can’t find those files, please check the publisher’s website or contact support@safaribooksonline.com. "Terms in double quotes" — the terms have to be matched in sequence to return results. Parentheses ( ) are useful for grouping terms. author:C matches authors having the initial “C” in their names (but not books about C). author:“John Smith” matches authors named “John Smith” unless they have a middle name. author:John Smith matches authors called “John” whose books contain the word “Smith” anywhere. publisher:Bantam matches publishers called “Bantam”. publisher:O’Reilly Media Inc (no quotes) matches publishers called “O’Reilly” where "Media" and "Inc" occur anywhere in the same document. title:(chicken soup code) matches titles with all three words chicken, soup, and code. A book titled “Code Soup: when developers play chicken” would match, for example. title:“chicken soup code” matches books with those three words in sequence such as “The Chicken Soup Code Manual”. publisher:O’Reilly text:java matches books published by O’Reilly having “java” in their text. Ask a Librarian or contact O'Reilly support (support@safaribooksonline.com).